Sept. 11 will mark the 15th anniversary of the 9/11 attacks of 2001, and once again West Linn will host an Honoring Those Who Serve event in memory of those who were lost. 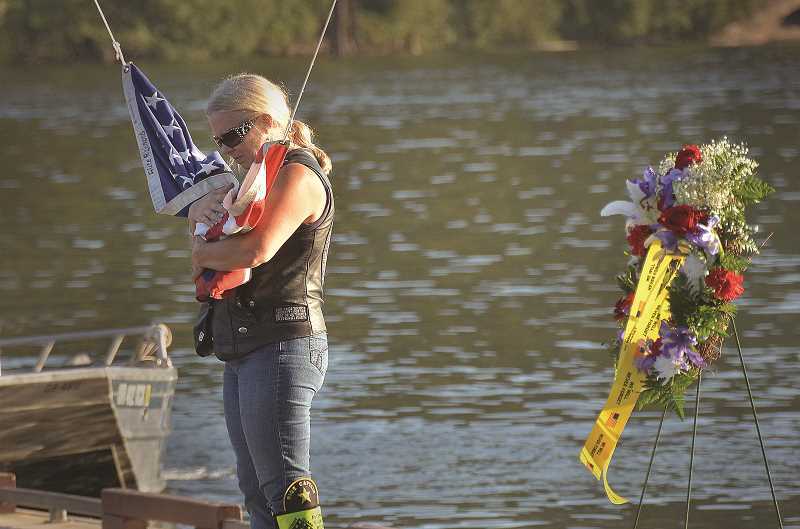 The event, set for Sept. 11 at 6 p.m., will return to the Willamette River this year after a brief sojourn to the West Linn Police Station and Tualatin Valley Fire & Rescue Station 58 in 2014 and 2015. Following tradition, Station 59 will launch a fire boat on the river, ringing a bell for fallen firefighters, and a ceremonial wreath will be thrown in the river. A flag line from the Patriot Guard will also be stationed on the dock. Suhr added that, unlike past years, were kind of downplaying the role of politicians. This is going to be a community message, and a couple of us will be speaking. A live guitarist will also play at the event, along with a soloist singer who will perform the National Anthem. And were also cooking up a surprise for when people get down there, Suhr said. Suhr, for his part, has been involved with West Linns 9/11 memorial ceremonies since 2002. He took on the responsibility of organizing them in 2006, inspired by the fact that there was no ceremony in 2005 due to Sept. 11 falling on a Sunday. My goal with this ceremony is to really not lose sight of those who serve us, and serve us sacrificially in many cases, Suhr said. He noted that, nationwide, 136 firefighters and policemen have died in the line of duty  about a third of the total who died on 9/11. Along with the ceremony on Sept. 11, Suhr is also organizing the A Street West Linn Remembers Yellow Ribbon Project, which will see yellow ribbons tied to the bridge over Interstate 205. That project began Monday, Sept. 5 and ends Sept. 11. The target is twofold, Suhr said. One is the 20,000 drivers who pass through every day (on I-205) and more important are the students at West Linn High School and Three Rivers Charter School. They come up and typically have a history or civics class on 9/11. The ceremony at Willamette Park will run for about 30 minutes, and attendees should enter through 12th Street.